Real estate is generally a great investment option. It can generate income in a few years time and can be a good long-term investment, especially because its value is increasing over time! Buying a home or a piece of land can be expensive nowadays, making it hard for us to invest in real-estate. But have you ever think of buying real properties from foreclosed properties? There are many foreclosed properties available from banks and other financial institution you can choose from. Just for example foreclosed properties from RCBC that we are going to show you in this post. The list of foreclosed properties are taken from RCBC website and grabs this month of February. 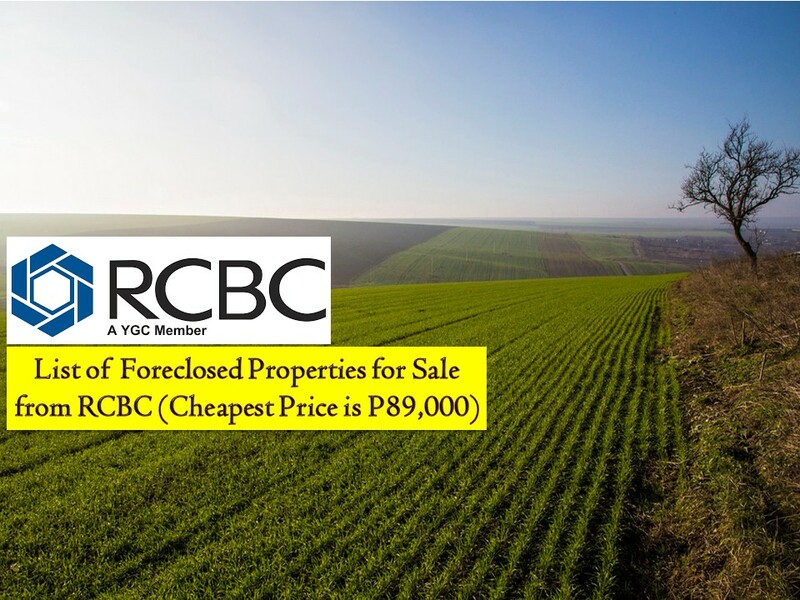 here are many properties on the list where you can choose from a vacant lot, house and lot, townhouse, among others. If you're interested, contact the following. This information is taken from RCBC website. Note: Jbsolis.com is not affiliated with RCBC and this post is not a sponsored. All information below is for general purpose only. If you are interested in any of these properties, contact directly with the bank's branches in your area or in contact info listed in this post. Any transaction you entered towards the bank or any of its broker is at your own risk and account. This article is filed under foreclosed properties, foreclosure listing, house and lot for sale, real estate properties, real properties for sale, and condo unit.